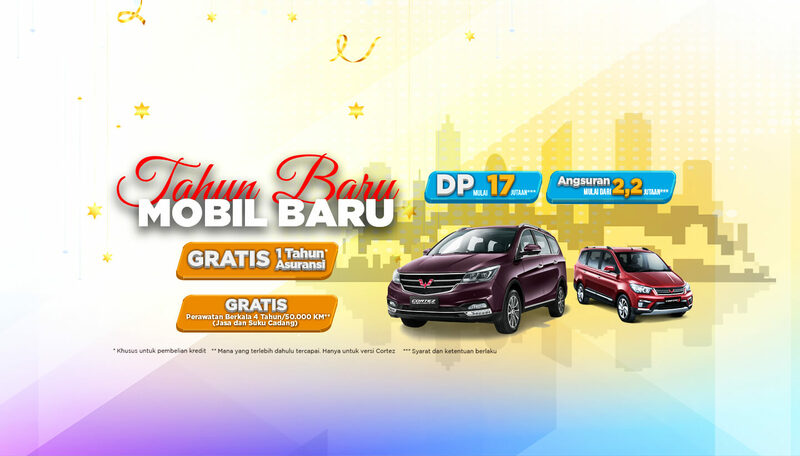 Come on, feel the sensation of driving with Wuling! Exclusive Gift G-Shock watch for every purchase of Almaz *. 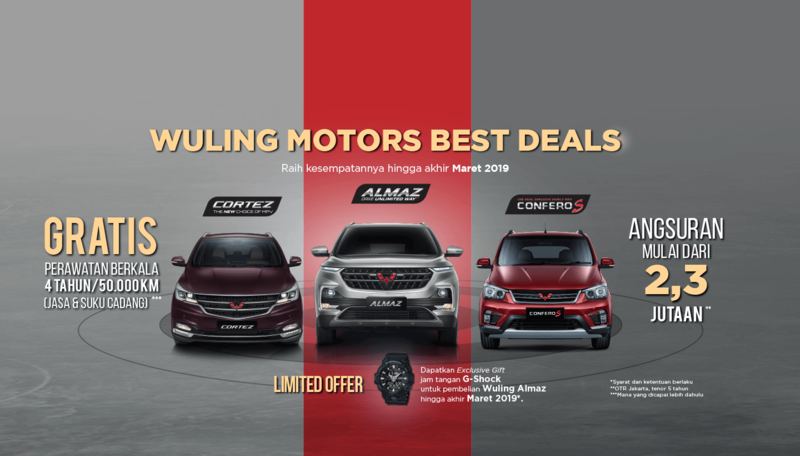 Installments for Wuling Confero S start from IDR 2.3 million **. Wuling Cortez is periodically maintenance free for 4 years or 50,000 KM for services and spare parts ***. Immediately visit the nearest Wuling Motors dealer in your city! 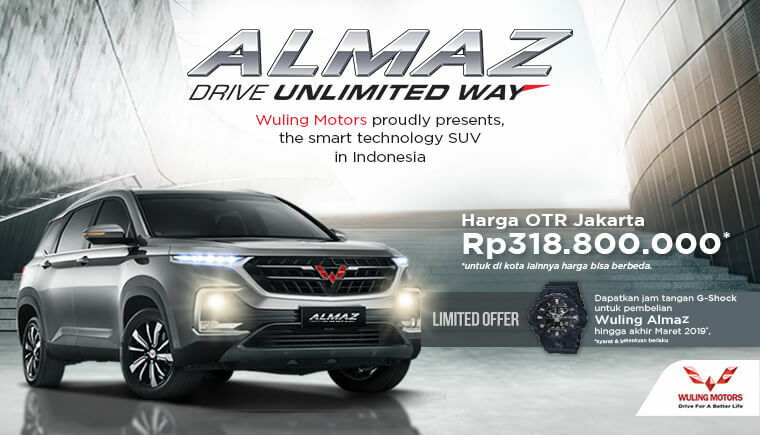 Let’s order Almaz at the nearest Wuling authorized dealer in your city! Feel the sensation of driving with a Smart Technology SUV with the stylish design. 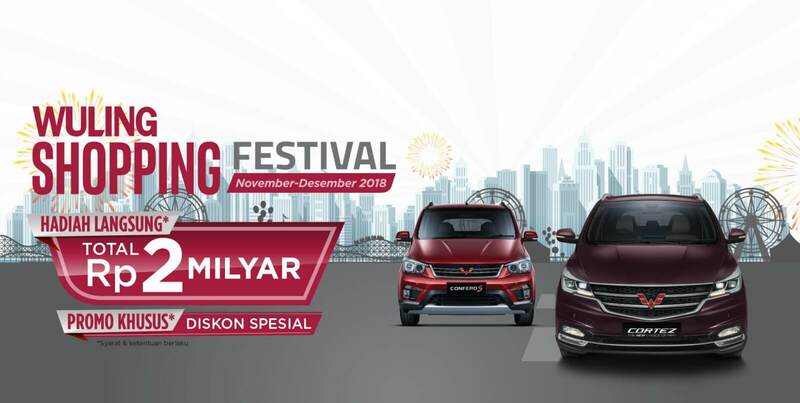 Wuling family, get your ideal Wuling soon in this new year! 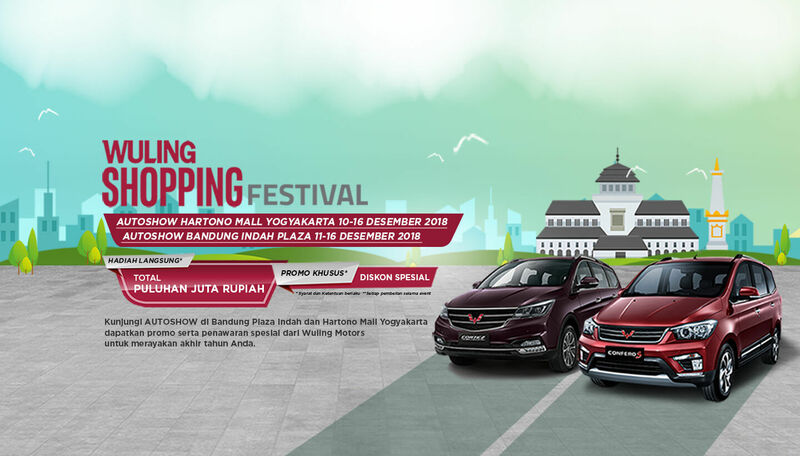 Please visit Wuling Mini Autoshow Bandung & Yogyakarta. Find interesting offers for your year-end party.